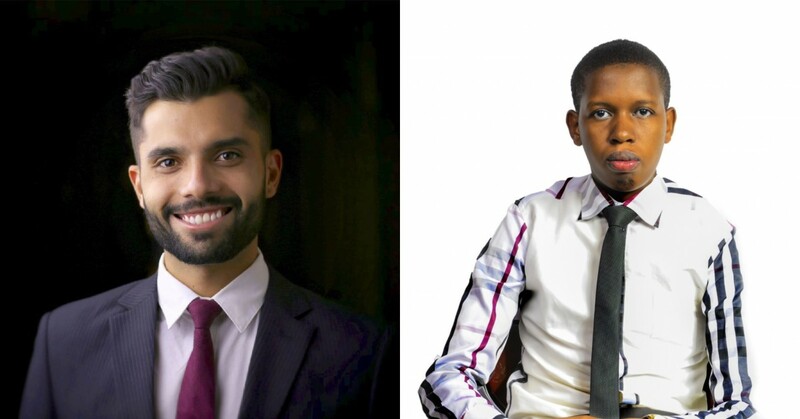 NEW YORK, N.Y., February 22, 2018 – MCW, a New York-based non-profit organization dedicated to addressing communities’ pressing needs by empowering current leaders and readying leaders of tomorrow, has awarded Alumni Ventures Fund (AVF) grants to Italo Alves of Brazil and Kelvin Kiko Muoo of Kenya. 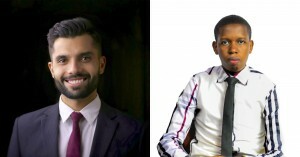 Along with a year of professional mentorship, Italo and Kiko will receive grants of $5,000 each to help them turn their ideas for change in their communities into concrete projects, drawing on their experience of developing a “vision plan” for social change as participants of MCW’s Young Leaders Program. “It has been rewarding to be part of AVF, which is helping to enable MCW Young Leaders to fulfill their visions to give back to their communities.” says Sharon Kess, founding donor and member of MCW’s AVF Task Force. “AVF funds create the needed launching pad for MCW’s Young Leaders to turn their business plans into action to make a difference in their corners of the world” added Charmaine Peart-HoSang, another member of the MCW AVF Task Force. Since establishing the Alumni Ventures Fund in 2009, MCW has awarded grants to 11 graduates of the Young Leaders Program. Preparations are now underway for MCW’s 21st Young Leaders Access Program to be held this year from July 24th to August 2nd at Champlain College in Burlington, Vermont and New York University in New York. Applications for this year’s program are closed.